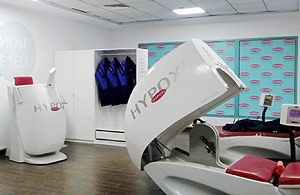 We are pleased to announce that BodySmart, HYPOXI’s flagship studios in the UAE, has expanded its operations with the opening of its 3rd branch in Beauty Connection Spa, Dubai in February 2017. With 30,000 sq. ft., Beauty Connection Spa is the biggest spa in the UAE and the largest day spa in the world. It encompasses a wide range of treatments in beauty. By incorporating HYPOXI, Beauty Connection Spa has now become a one-stop-shop for all beauty, slimming and wellness needs. Clients have been getting phenomenal results which has contributed to the success of HYPOXI in a very short span of time with over 20 new clients each month.